Once your car’s been featured in Lowrider, you’re pretty much done and the only thing that you can do is start over or keep adding to the car to make it look different. That was the case with Humberto “Bird” Trevino’s ’68 Buick Skylark. We spotted this setup at our recent Houston, Texas, show and noticed all of the changes from when the car was featured a few years ago. 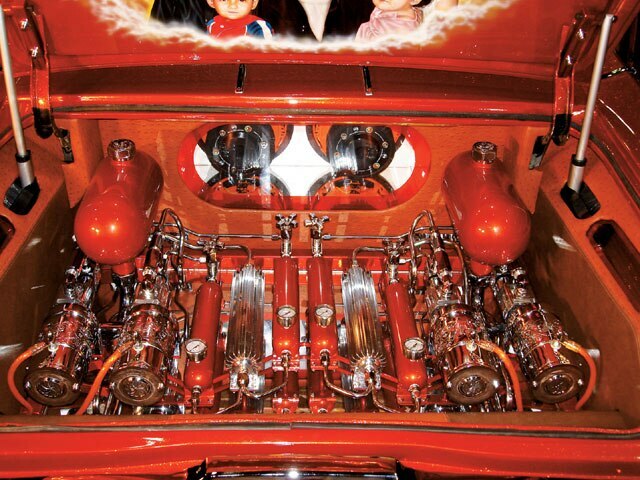 Humberto had Shorty’s Hydraulics in Houston give the car a fresh look. The first thing that we noticed was that the undercarriage was completely redone. We then looked in the trunk and admired all of the work that had been done in there. The trunk featured four Shorty’s Hydraulics Veterano Series pumps, fed by two oil reservoirs. The setup has two oil coolers that keep the fluid temperature down, while making the setup look good. 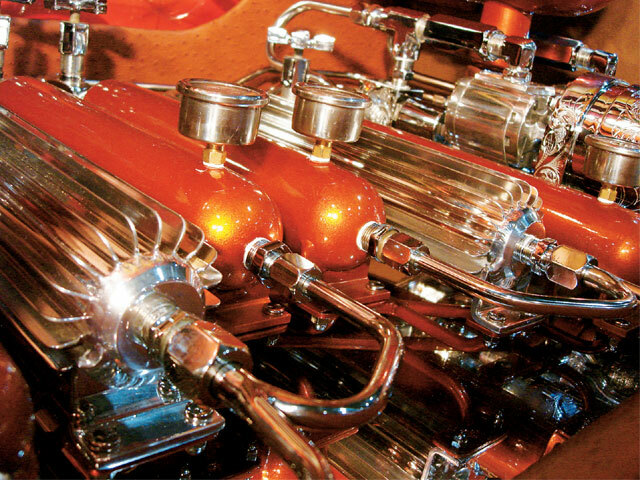 Four additional “skinny” reservoirs with pressure gauges were added on the return side of the setup, which was plumbed in stainless steel by John of Shorty’s Hydraulics. John also receives the credit on most of the work that was done in the trunk, from making the custom tanks to installing the Memphis Audio setup. The trunk on this Skylark was really clean looking with four Odyssey batteries hidden behind the ostrich-upholstered panels and the four custom pumps that were built for this car. The Buick was looking and sounding good; keep up the good work, Bird. As we mentioned earlier, the only thing to do once your car’s been featured in Lowrider is to completely redo or add to the ride. 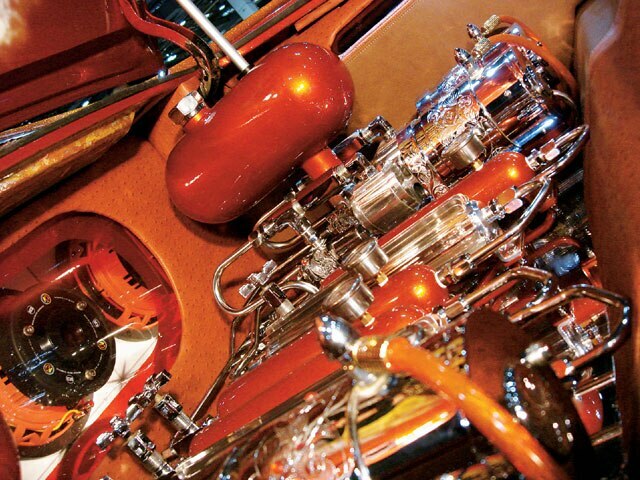 After Cipriano Flores’ first photo shoot, all that he could do was change up his ’93 Fleetwood. He wanted to make sure that people would remember his Caddy and he figured that a new look would do the trick. We think that people will be talking about the car’s Lambo doors, new paint job and the sound system that we’re featuring. 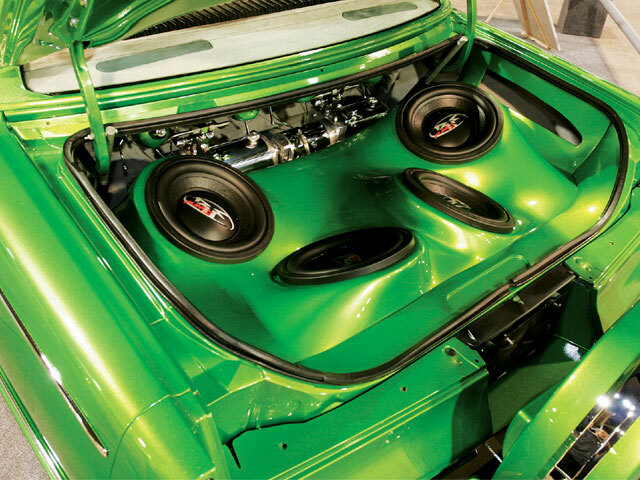 Cipriano hooked up his big-body with four Rockford Fosgate 12-inch woofers in a custom fiberglass box that was painted in a Jolly Rancher candy green finish. 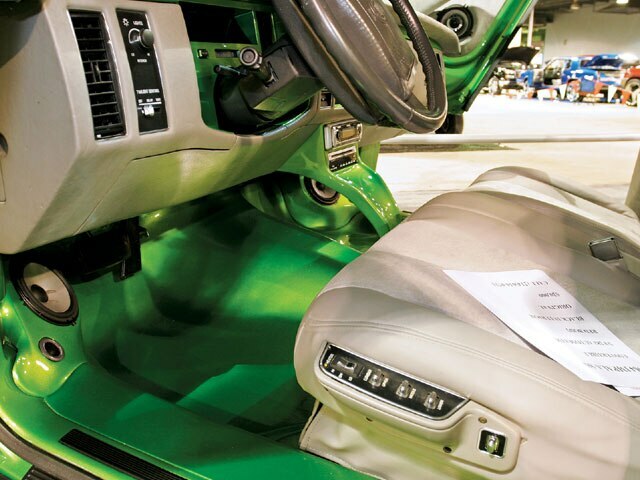 The molded interior received a custom center console for the head unit, which looks as if it’s floating. Cipriano then added custom kick panels that hold 6-inch Rockford Fosgate components. The front and rear doors also received components for “fill,” as he needed to even out the power coming from the booming system in the trunk. 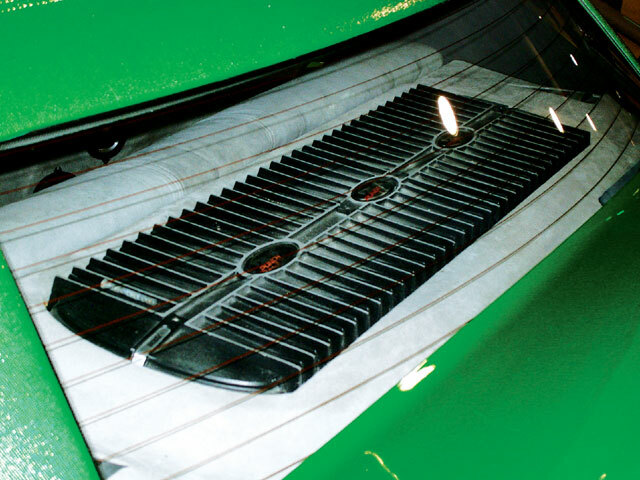 Rockford Fosgate Punch amplifiers were incorporated into the package tray so that they can operate efficiently while keeping their cool. Cipriano’s system really sounded good and caught our attention with its custom look. In our opinion, this Caddy will help take lowrider sound systems in the right direction. Hopefully, others will follow Cipriano’s lead, but, as of right now, this Caddy is the top dog. If you have a trunk that you think is worthy of a spotlight in our Dumps & Bumps section, feel free to e-mail photos and basic information to: saul.vargas@sorc.com.